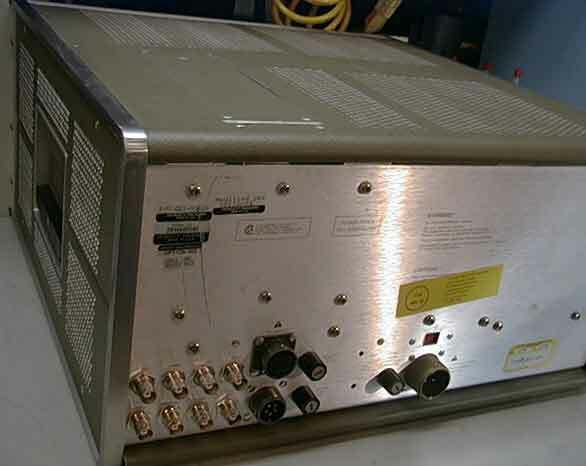 Option 003 clock & standby power supply (Please read description). Option 004 High Performance Cesium Tube (Please read description). 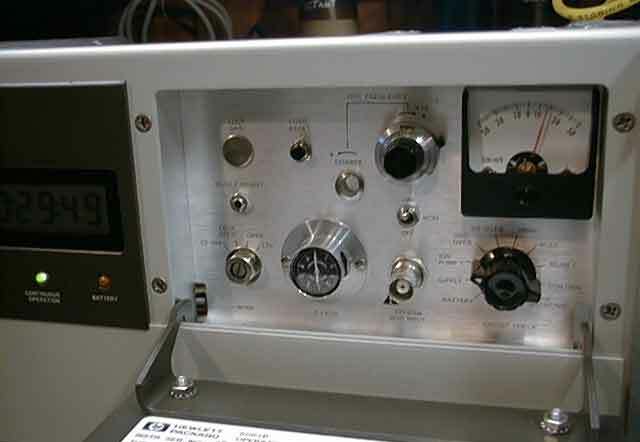 Quartz Oscillator Upgraded to 3010. 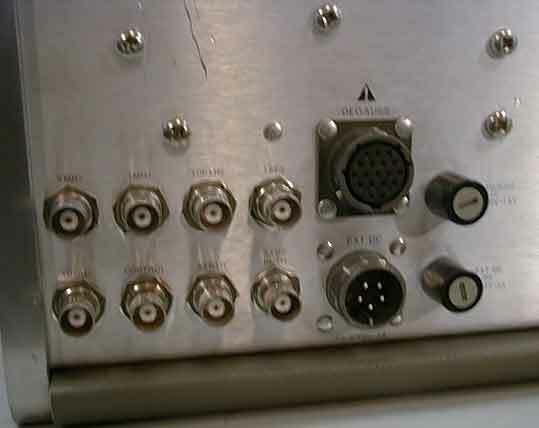 Rear outputs for 1PPS, 10MHz, 5MHz, 1MHz, 100KHz & several different outputs for control and sync functions. AC and DC power inputs. 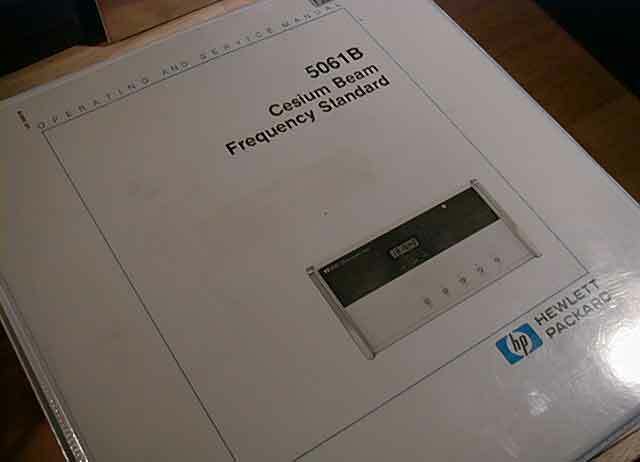 During our testing, the HP5061B demonstrated exceptional performance. 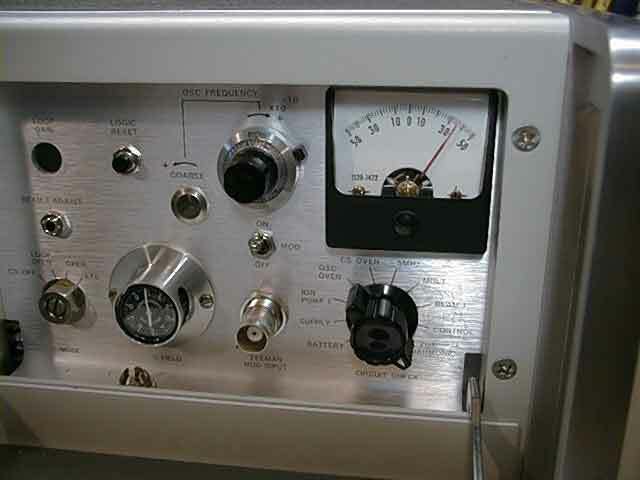 The 5061B locked and the system operated correctly. We did not go through all the fine adjustments to get the maximum performance from the system, but what we saw was very impressive. After 24 hour warm up period, the unit displayed a solid lock. 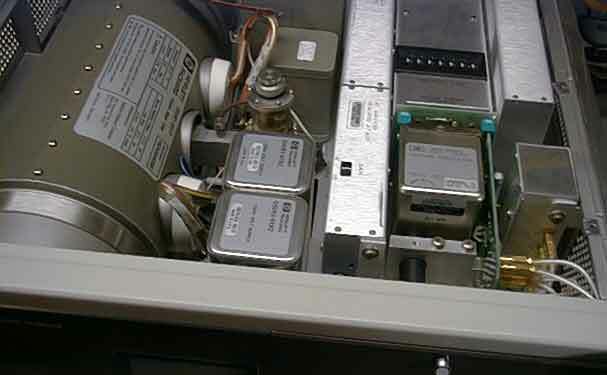 When locked, the system had a combined uncertainty better then spec. 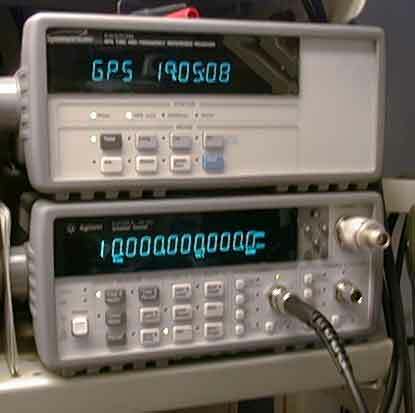 This includes the combined uncertainty of the HP 5061B tracked against our Agilent 53132A counter locked to our Agilent 58503B GPS clock. We have not seen better performance with any other clock we have worked with. 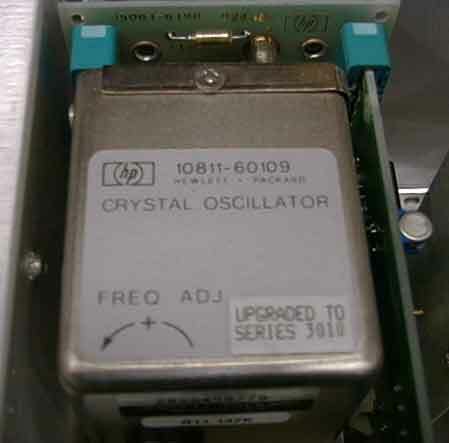 Another item of note is that during warm up with the crystal oscillator alone. 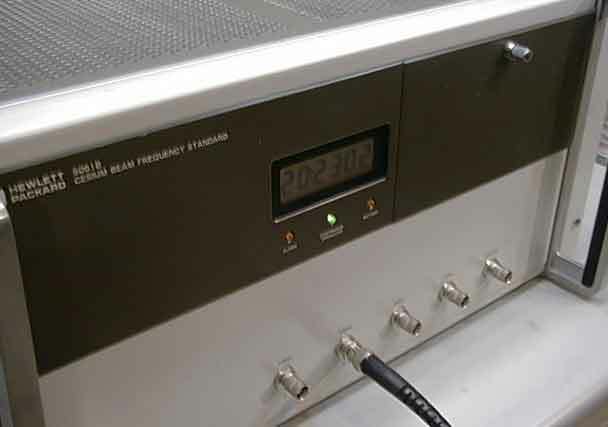 It showed the best performance I have seen from a crystal oscillator. The standby power supply does not have the battery installed. 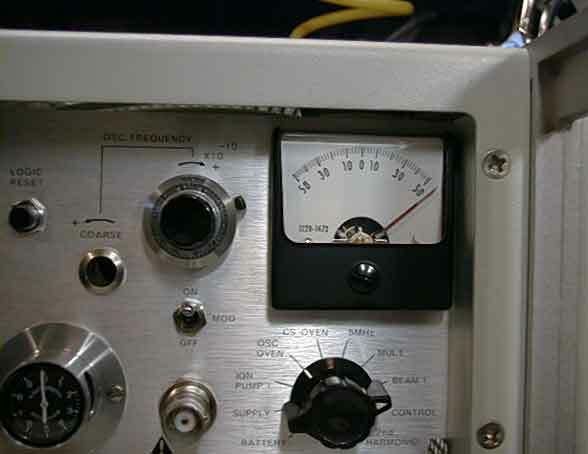 The ion pump on the 5061B was very high when the unit arrived. This is typical of a unit that has been stored for an extended period of time. After 24 hours, it dropped to a point where the 5061B had no problem locking but was still a bit high. 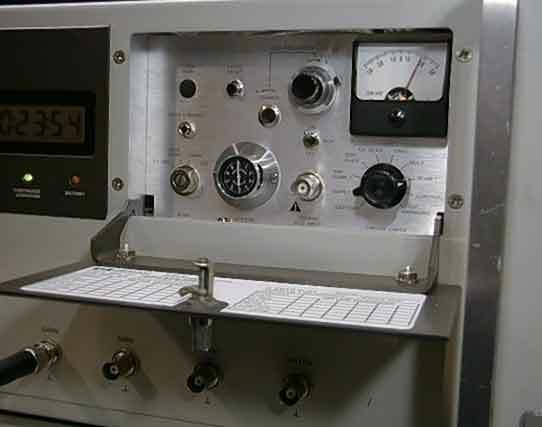 There are procedures in the manual for establishing a vacuum if the unit has been stored for an extended period and a cesium lock can not be established after a 24 hour warm up period. These procedures require use of an external 3500 VDC 5ma power supply to establish a better vacuum before switching to normal operation. This may be necessary to achieve a better vacuum specification. 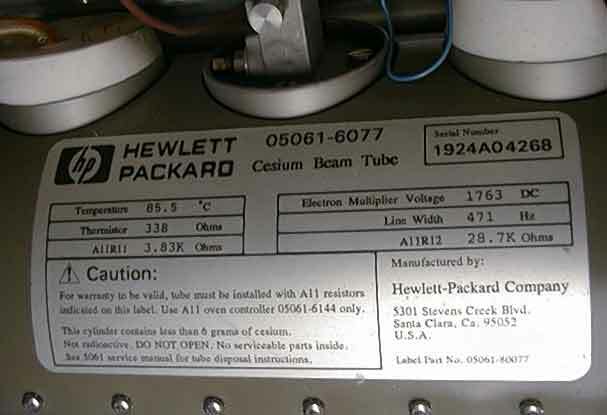 This HP 5061B has tags on the rear showing option 003 (The clock and standby power supply) and 004 (high performance cesium tube) are installed but I am not sure the tube is the high performance version so check out the photos of the tube. Be aware even though the stand by power supply and clock are installed, the batteries are not in the unit. a good sign showing plenty of tube life. Ion Pump is a bit high, most likely due to long storage. The instrument is in excellent physical condition. Although it has a few minor dings and scratches that can be seen in the photos. Power cord is not included. 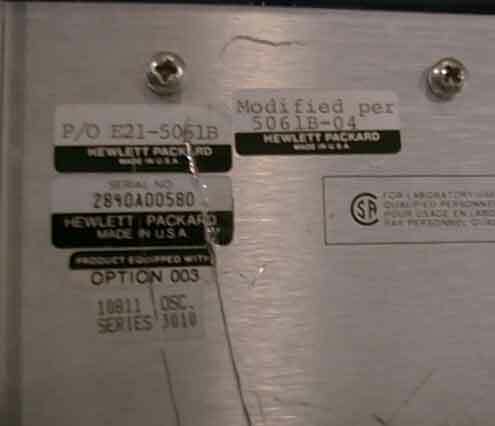 We will put a standard AC Power Connector on the unit if requested by the high bidder. Buyer will pay $50.00 packing and shipping in the continental United States. We will make every effort to ship within 24 hours of receipt of payment. We ship with FedEx only. We will be glad to ship with other carriers using the purchasers shipping account. Please contact us to make any special shipping arrangements. For shipping rate research, our shipping address is Boulder, CO USA ---- Zip Code is 80305.